When Nathan Bahr was a grad student, he was enrolled in a Psychology of Sports Injury class at the University of Minnesota, studying different techniques a coach or mentor could do to assist an athlete post-injury. That's where he first heard of progressive muscle relaxation (PMR). "It's a technique used to recognize muscle tension and to increase kinesthetic awareness, or self-recognition of body positioning and movement," Bahr explains. For Bahr, the timing of the PMR lesson was particularly meaningful. "It just so happened at the time that I recently had knee surgery and was working on my own rehabilitation," he recalls. "I was surprised to find out that when the instructor got to the shoulders and said to tighten them, they were already tense and tight. I could have been walking around all day with tense shoulders without realizing it. It just felt so great to feel my shoulders drop. Turns out a rehab from an injury plus grad school adds up the stress and anxiety levels a little bit." 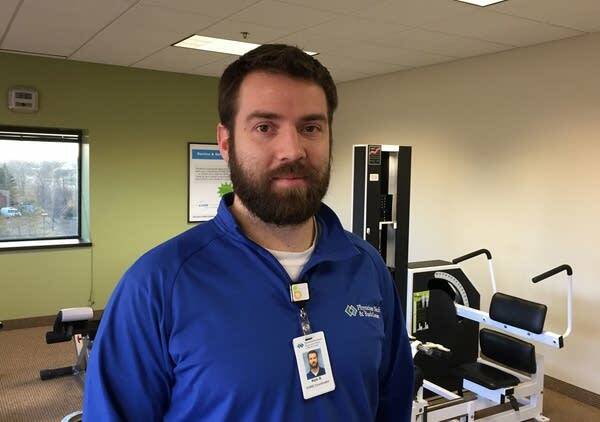 Bahr now has a M.Ed in Applied Kinesiology, and he works as a coordinator at Physicians Neck and Back Center and CORE Spinal Fitness in Edina, Minn., which is a part of HealthPartners. In his work, Bahr helps patients to recover from injury and — importantly — to pursue a fitness plan that can help them avoid re-injury. "Muscular tension can be caused by many factors such as stress, fatigue, anxiety, irregular sleep schedule, or even an injury," he says. "Knowing when and where you have muscle tension can be a step towards relief." Because progressive muscle relaxation can assist with that relief, Bahr took time to answer questions about PMR and about how it can be part of one's overall fitness regimen. How does progressive muscle relaxation work? Progressive muscle relaxation is normally led by an instructor, and you follow their directions during the exercise. You can start by laying on the floor or sitting in your chair, preferably in a quiet space. You focus on your breathing. Not trying to control the pace of your breathing, but just to be aware that it is there, taking deep breaths and exhaling them. Once you are aware of your breathing and you are calm, the progression can begin. The instructor will focus on as many or as few muscle groups as needed, depending on the time constraints. What you do is squeeze and tense the muscles the instructor tells you to, and then you will relax them as much as you can. The instructor will slowly move their way up the body, directing you to tense the muscles and relax them. It sounds like a simple exercise just squeezing and relaxing muscles, but you might come to find you have muscles that are tense when you don't even realize it. How can progressive muscle relaxation fit into an overall fitness plan or approach to personal wellness? A progressive muscle relaxation session can be done really any time. There are many different versions on YouTube that vary in duration, so if you just need to check out for a few minutes during a stressful day, you can do so as long as you can find a quiet place. 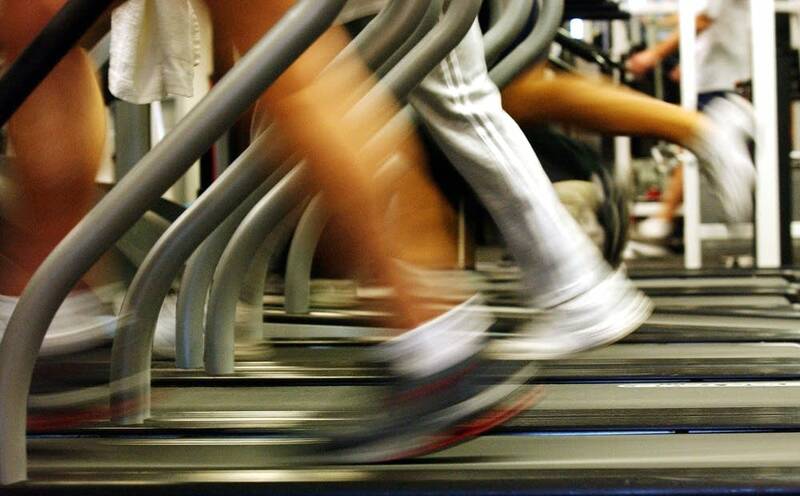 As far as fitting it into a fitness plan, your muscles need recovery time after a workout. If stress and anxiety aren't allowing these muscles to relax and they are constantly firing at all hours, you aren't giving them the proper time to recover and heal in time for the next workout. How does progressive muscle relaxation help with body awareness? You are experiencing exactly how it feels when a muscle is tense and when a muscle is relaxed because you are physically doing it while the instructor is explaining the sensation. After being able to recognize the feeling of a tense muscle, you might have the awareness to catch your tension building at any given time and have the self-awareness to relax the muscle on your own. It might take some practice, but I do believe that practicing these motions consistently could possibly help the muscles react properly and more efficiently. As Bahr explains, progressive muscle relaxation can help relieve tension and lead to improved body awareness. When it's time to let your muscles relax, YourClassical's Relax Stream is always ready to provide the soundtrack.